Hello everyone, I'm Joninha and we are going to go to another article here on the blog. In this blog, we already present, great websites to make stickers or intros for videos, online. 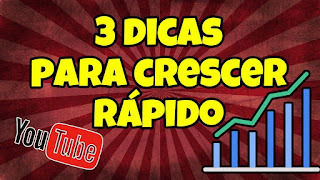 We have already presented great tools to promote your video and we gave several tips for YouTubers and Vloggers beginners. Now let's present here tools that all YouTubers or Vloggers should know about. These tools will help you take your videos and channel to the next level making your videos more professional and more presentable. So they'll be better found on the video platform and perform better on views and minutes watched. You do not have to be an expert in video production. What you need is to know the right tools, as these tools will do this for you from the moment you learn how to handle them. Are you ready to get to know the best web tools to help you develop your YouTube channel? So let's go and keep an eye on the list below. If you are Youtuber and want to get the best tips for evolving your channel, subscribe to TopDikas. 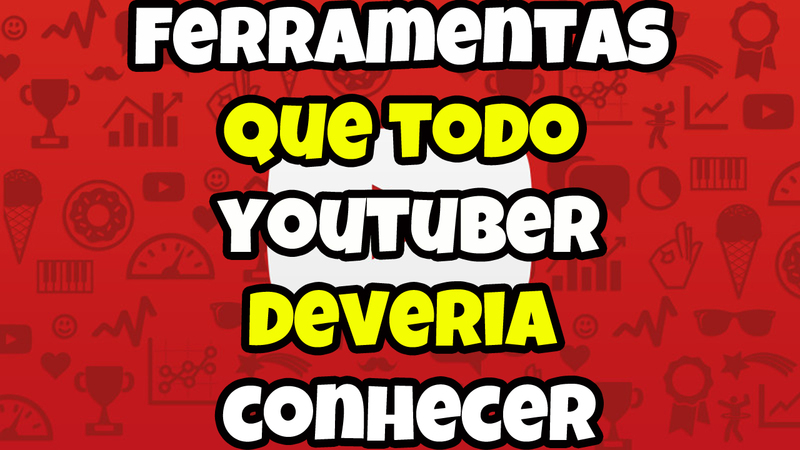 You will receive the best content to learn take your channel to the next level. Sign up not to miss the next tip. If you need to make an animation for your channel this site is appropriate place. While being more targeted to business, MakewebVideo can be used to create very stylish animations for your channel if you use it in a smart way. Ideal for making videos in a very funny way. Besides serving for animations the system also has intros, which you can use in your videos. The only bad part of this tool is that it is not free and you have to pay to use it. But it's worth it! Below you will find a list of videos made on the MakeWebVideo platform.If you need to make an animation for your channel this site is appropriate place. While being more targeted to business, MakewebVideo can be used to create very stylish animations for your channel if you use it in a smart way. Ideal for making videos in a very funny way. Besides serving for animations the system also has intros, which you can use in your videos. The only bad part of this tool is that it is not free and you have to pay to use it. But it's worth it! Below you will find a list of videos made on the MakeWebVideo platform. 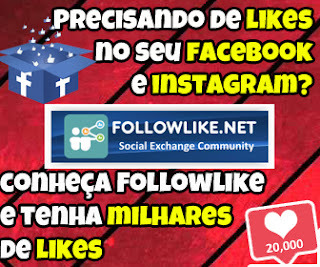 It is a tool of social promotion, for those who like, to exchange subscribers and likes. With it you can also get a bit more views for your video. The system basically works like this: You watch, other videos to earn points. With these points you can gain more views for a video you have enrolled in the system. In addition to previews you can also earn more subscribers and likes in your videos. Below is a video of how it works. Is an online platform focused on creating intros and vignettes for videos. That initial presentation of a few seconds at the beginning of the video. So it may be what will make a viewer watch your video for longer or not. So if you still have no intro, or have an intro, bland, know this system where you can even make your intro. The system has some intros totally for free. For more information see the video below. Imagine you on a computer, then you access YouTube analytics and have a lot of information about your videos the way you need it. This is YouTube Creator Studio. An app for Android and IOS that helps you check your video statistics and also edit information and settings of them. With it you respond to comments from your fans and check the progress of the views of the latest videos posted anywhere with your smartphone. If you are a content creator for YouTube you can not run out of this app on your phone. If you have never heard of the app and have no idea how to use it, a video with a brief analysis of the tool follows. Click here to install. It is a system that helps you make more money from your channel by putting you head on with the advertiser. All you have to do is enter the platform, choose from the various ads available and submit your proposal. You already know the values you earn if your channel is approved. Another nice thing about the platform is that you can choose or advertise a product related to the content of your channel. For example, if you make makeup videos it is quite likely that you will find advertisers needing YouTuber to advertise something in the line of cosmetics. It is a unique tool for Machinima partners that allows you to send video to YouTube and Facebook with just one Upload. That's right, without using this tool, you have to upload the video twice, one for each platform. With this tool available in the console Machinima you only upload the video once. If you are not a Machinima partner and liked this feature you can use an alternative service available on TubeBuddy, the tool that is just above, in this list. It is a tool that allows you to manage your videos from one place. With it you can link multiple channels and you will be notified through this tool of the activities of all the channels that belong to you. It has a feature that I find fantastic! You can create a preview of 30 seconds of a video of your channel, and post to your Facebook page, so if your fans want to watch the full video all they have to do is click the link and they will be redirected to the YouTube. Another cool thing that Epoxy does is to create a gif from your video library. Ideal for posting on your Facebook timeline. You can still respond to comments on videos without leaving the system. Many YouTube Networks MCN partner with Epoxy. If you are part of a Network MCN, log in to your Network Console and see if Epoxy is available. If you are not part of any network, you may not be able to enjoy all the features for free. It is another place for you to download licensed creative commons songs to put on your videos. The site has thousands of songs so that your videos gain an extra charm. Epidemic Sound maintains partnership with several networks. Then see if your network partner with Epidemic Sound so you can take advantage of all the features for free. If you are a BroadBandTv partner, you can count on a very helpful thumbnail editor. Having access to the BBTV partner console you have no more reason to leave your videos without a thumbnail. This feature is very intuitive and very easy to use. Access the BBTV Partner Console to access the tool. Unfortunately, only BBTV partners have access to this feature. The YouTube video editor is well known among vloggers and creators. A very useful tool even for those who prefer the offline tools to edit. Who ever needed to change a song in a video, because it was flagged by copyright, or even make a cut in a video? The good thing about this tool is that you can make many changes without losing the already counted number of views. Anyone who works with video edits knows that sometimes downloading videos from YouTube is a difficult task. But with this application for Windows this task can become much easier. With it you can download any YouTube video to use in your projects quickly and easily. That's it guys, I hope you liked the tips. Do not forget to share this post on your favorite social network with the sharing buttons below. If you know any other indispensable tool for YouTubers leave in the comments just below. Goodbye!